The meeting of the National Anomaly Committee was held at 11:00 AM on 17.072018 in Conference Room No. 119, North Block, New Delhi under the chairmanship of Secretary (Personnel) with the representatives of Staff Side of the National Anomaly Committee and Senior Officers from concerned Ministries/Departments. 2. Secretary (Personnel), Chairman of National Anomaly Committee welcomed the participants in the meeting and requested Joint Secretary (Establishment), DoPT to initiate the proceedings of the meeting. Initiating the discussion, Joint Secretary (Establishment) stated that this is the first meeting of National Anomaly Committee set up after 7th CPC. The issues received from Stall side have been examined and based on the interaction held with them and after due diligence, six items have been shortlisted to be discussed in the meeting. Before proceeding ahead, Joint Secretary (Establishment), requested the participants to introduce themselves. The participants in the meeting gave their introduction. 3. The Secretary, Staff Side welcomed Secretary (Personnel) and stated that they are hopeful that with his joining, regular interactions between the Staff side and the Government will be resumed. He stated that the National Council of JCM has virtually become defunct. The last meeting of National Council was held about 7% years back. He, therefore, requested to hold a meeting of National Council. He further stated that due to non-holding of the meeting of the National Council, the Staff is anguished. He thanked Secretary (Personnel) for holding the meeting of National Anomaly Committee and requested that meeting of Standing Committee may also be held. Secretary (Personnel) stated that the process has started with today’s meeting and we will hold further meetings in due course of time. 4. Secretary, Staff Side stated that they have submitted 18 issues to be discussed in the Anomaly Committee. Referring to the last meeting held with Joint Secretary (Establishment) on 11 1.2018 he stated that in the meeting, it was decided that out of eighteen issues, three issues pertained to Department of Expenditure and on remaining fifteen items there can be difference of opinion treating them to be demands or anomaly but it may not be fair to say that there are only six items to be addressed. Joint Secretary (Establishment) stated that the remaining items fall in the category of demands. The Government is not averse to discuss them in the Standing Committee. He further stated that todaVs meeting should be result oriented. Secretary Staff Side agreed with the suggestion of Joint Secretary (Establishment). Further, Staff Side said that the recommendation of NPS Committee constituted by the Government based on 7th CPC recommendations is not yet known to the Staff Side. A copy of the report may be provided to the Staff Side and separate meeting with Staff Side should be held before Govt. taking any decision on the report of the NPS Committee. held on 11.012018, it was decided by the Government side that there are 7(Seven) items of anomaly, whereas in todafs meeting, reference is made of only six items. He also stated that in the last meeting held on 11.1.2018, it was informed that the 5(Five) issues raised by Staff Side will be re-examined but they have not been apprised of any outcome in the matter. In response, it was informed by Deputy Secretary (JCA) that out of seven items, one item pertains to the Deparment of AYIJSH. Therefore, the same has been referred to them for placing it before their Oepaftmental Anomaly Committee. The Staff Side enquired whether Departmental Anomaly Committee is functional in Department of AYUSH on which it was informed that Departmental Committee in Department of AYIJSH is functional. 6. Shri Rakhal Das Gupta further explained the problems of those employees promoted after 25tt July, 2016 ‘who have been deprived of re-option opportunity to switch over to 7th CPC Pay Matrices and urged upon the Department of Personnel & TrainingfMinistry of Finance to grant another opportunity for re-option as was done during the previous Pay Commission’s time. The Official Side agreed to consider. 7. Shri C. Srikumar, Member, Staff Side requested the Secretary(personnel) to extend the benefit of pay re-fixation on last pay drawn to the ex-servicemen reemployed in Central Govemment Organizations. 9. 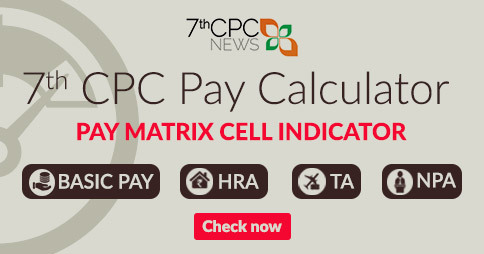 Shri K . K. N. Kuty Member Staff Side stated that at many levels of Pay Matrix, the difference between one cell and another is less than 3% of the basic pay of the amount in the lower cell. The benefit of bunching to the employee is denied on the ground that the difference is less than 3%, which is not reasonable. He stated that the problem is arising because of non inclusion of Item No- 2 which is the basic item. The Pay Commission recommended that there will be minimum benefit of 3% but in some of the cases, the minimum benefit of 3% is not accruing. Joint Secretary (Establishment) stated that the 3% gap was in the pay of CPC and not in the 7thCPC. Therefore, he stated that item nos. 2 and 3 are not interlinked. 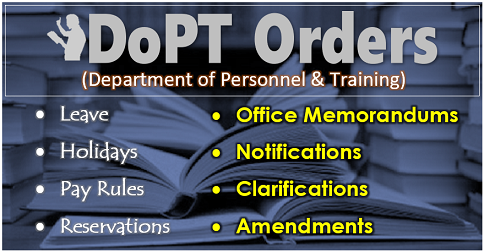 10 Secretary (Personnel) intervened and stated that we should focus on Item no. 3 and requested Joint Secretary (Personnel). Department of Expenditure to clarify the matter. Joint Secretary (Personnel) stated that the normal practice followed by Pay Commission is that they have recommended 3% gap. The system which is being followed up by the pay Commission all throLQhout is that they have given 3%, but as and when we calculate, just to make it easier to make it whole number, they have rounded off and rounded down. That is commonly accepted principle Coming to Item no 3, which is about removal of condition of 3%, she stated that it is not an anomaly. In fact. the example given by Staff side is eventually asking for cascading benefit. She further stated that on moving from Grade to pay Scale. sane problems of this nature are bound to happen and there are some aberrations, which will be addressed on case to case basis. 11. Shri Kutty stated that there may not be one or two cases: but there are a large number of cases. This situation has arisen onty because Of the simple reason that the pay will be fixed at the stage, if there is stage available and not at the next above. If the fixation would have been made at the next above stage, the situation would not have arisen. construction of the pay matrix has been done in contravention of the principle enurnerated by the Commission itself that the increment shall be at 3% Of the Basic pay, He therefore contended that this is an anon-lab’ within the definition and not at all an abreaction. 12. Initiating the discussion. Joint Secretary (Establishment) stated that specific recommendation has been given by the Pay Commission about fixation of pay. Accordingly, Revised Pay Rules have been notified by Department of Expenditure. Therefore, we feel constrained to do anything in the matter. This is in conformity with the of 7th CPC. 13. Joint Secretary (Personnel) stated that there is a general principle to allow one increment on promotion. However. if there are cases where minimum of one increment is not given on pay fixation. the Department will examine the matter. It is a general anomaly. Joint Secretary (Personnel) stated that the representation received frcm the aggrieved employees will be handled on case to case basis. She stated that they are unable to grant two increments. Secretary, Staff Side stated that it may not be possible to resolve the large number of cases unless this is resolved through a policy decision. Joint Secretary (Personnel) stated that no data is available with them with regard to number Of such cases and the policy change Can be considered only after knowing the magnitude of the problem. 14. Shri Kutty referred to FR 22(C). which provides grant of atleast two increments on promotbn Shri C. Srikumar stated that till the 5th CPC while on prornotion under FR-22 (C) one increment in the lower pay scale is added and the pay is in the next available stage in the higher/promoted pay scale. 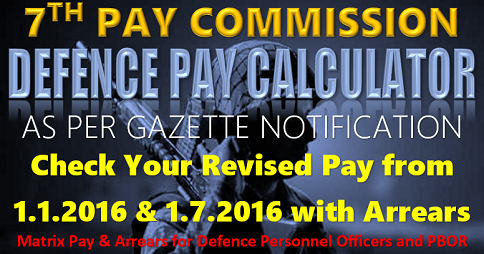 After CPC one increment in the lower pay scale plus the Grade Pay difference was given while on promotion/ACP/MACP. After 7r CPC the promotion benefit is restricted to only one increment This is not justified and therefore grant Of two increments on promotion is justified. considered if the magnitude Of the number 01 such cases is known. Department of Expenditure: To sum the issue. Secretary (Personnel) stated that the issue of pay fixation on promotion needs to be considered by DcPT (Pay) in consultation with Department of Expenditure in the light of the point raised by the Staff Side. 16. While taking up the matter further, Joint Secretary (Establishment) referred to the example given by Staff Side. 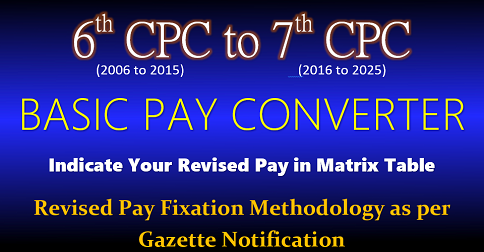 wherein the pay of officials drawing different grade pay is fixed in the same stage in different pay levels of CPC pay matrix. Joint Secretary (Personnel) stated that number of such cases may not be very large. Therefore, the representations received from employees having such anomaly will be considered by them on case to case basis. She admitted it to be an anomaly, which has occurred on construction of Pay Matrix. Reconstruction of the pay matrix will be a drastic change. However, she assured that they will look into the matter. Shri M Raghuvaran, stated that this is a dichotomy that a senior is getting less pay than a junior. It should be resolved immediately. 17. Secretary (Personnel) assured that the matter is kept alive, as DIO Expenditure is in the process of finding out a solution. The Staff Side suggested that the anomaly may be resolved in the individual case through stepping up of pay. However, Joint Secretary (Personnel) stated that the principle of stepping up is applicable only in the same Pay-scale and not in different pay scales. Shri Kutty said that there was no necessity to change the entire pay matrix: even though that might resolve many other anomalies. The stages at which such differences arise may be identified and remedial measures taken. 18. Initiating the discussion, the Staff Skie stated that a person in higher pay level and drawing a same basic pay as a person in the Ower pay level gets lesser pay. This is a clear cut anomaly and without any reference from annqhere: the Government should have addressed it. Joint Secretay (Personnel), Department of Expenditure informed that the Pay Commission may not have visualised such situation. Therefore, she assured to look into the matter. 19. Secretary (Personnel) stated that DIO Expenditure would examine the issue. ITEM NO. 12: IMPLEMENT THE RECOMMENDATION ON PARITY IN PAY SCALE BETWEEN sr. AUDITOR 1 sr. ACCOUNTANT OF IA&AD AND ORGANIZED ACCOUNTS WITH ASSISTANT SECTION OFFICER OF CSS. Pay Of Rs5400 (PB-2) i.e. 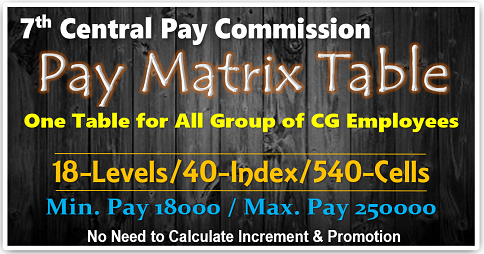 Level 9 of Pay Matrix in case of Assistant Section Officer of IA&AD, Indian Civil Accounts Organization and P&T Accounts. 22. As regards the proposal pertaining to Senior Section Officer (Accounts) of Ministry of Railways and Assistant Accounts Officer 01 Ministry of Defence. a committee has been constituted by DoP&T to examine the feasibility Of these proposals. 24. The Staff Side invited the attention of t-.e Official side to the minutes of discussion hek3 with Joint Secretary (Establishment) conveyed under of DOPT letter No. dated 16/02/2018 wherein it is stated that the items other than those included in the agenda and referred to various Departmental Councils would be examined. The Staff Side was not informed as to the outcome Of such examination. It is, therefore necessary that these items are discussed in the Anomaly Committee. 25. As regards the item no.l, which is about minimum wages. Dfo Expenditure has informed that the demand of the Staff Side is basically a request for upward change in the minimum pay. It has been further stated by them that the pay Commission decided the minimum wages on certain principles/methodology adopted by them. The principles adopted by them does not come under the category Of anomaly. However, Staff Side was of the view that the pay commission has deviated from the principles Of Acykrod formula. Hence, it is an anomaly. Joint Secretary (Personnel) was also of the view that the principles enunciated by pay Commission for deciding the minimum wages cannot be questioned at this stage. 26. As regards item no. 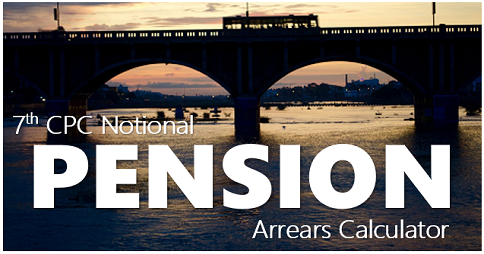 7 which pertains to ension fixation it was informed that the matter has been referred to DIO Pension & Pensioners Welfare. The Staff Side stated that the anomaly arising in the ension fixation need to be discussed in the Anomaly Committee. Joint Secretary (Establihment) stated that the matter win be re-examined and if it is found to be an anomaly, this will be considered in the next Anomaly Committee. 27. Leader , Staff Side While thanking the Secretary (Personnel) stated that the Scheme of JCM Which was formulated way back in 1966 aimed to resolve the issue concerning the staff . But over the years, the issues concerning the employees are not resolved in time, Which has disappointed the staff as a whole. Even, the meeting of National Council, Which is a Vital organ for resolving issues concerning staff is not held on time. He , therefore, urged the Secretary (Personnel) to use his good office for holding the meeting of the National Council. Leader, Staff Side also referred to the notice given by JCM two years back for going on strike from 11.07.016 in favour of their demands of minimum wages, restoration of old Pension Scheme etc. 28. On Strike notices served on 9th June, 2016 for indefinite strike to commence from 11th July, 2016, the group of Ministers of Central Government held discussions with the JCM (Staff Side) leaders at the residence of union Home Minister on 30th June 2016. An assurance was given that a High Level Committee would be constituted , consequently. The strike decision was deferred. A Committee headed by Additional Secretary, Ministry of Finance (Department of Expenditure) was constituted and the Committee met five times. The JCM (Staff Side) views were heard but nothing tangible happened even after a lapse of twears. In the light of Governments incentives attitude, the JCM (Staff Side) has since decided to revive the decision and accordingly a communication was sent to Cabinet Secretary by NJCA Convener on 06th July for resolving the issues through negotiations, failing which the Staff Side JCM will be compelled to preed with strike decision. He appealed to the Secretary, (Personnel) to convey the concern of JCM (Staff Side ) to the Cabinet Secretary and the Government to take action for resolving the issues through negotiations at the earliest. 29.On the functioning of JCMachinery, the Secretary (Staff Side) JCM invited the attention of Secretary (Personnel) to the Schemeed in the year 1966 to ensure regular dialogue on staff demands and preserve industrial relations. Sadly the JCM machinery has been made defunct as no NC/JCM meetings has been convened even after a lapse of 8 years time. He requested the secretary (Personnel) to take personal initiative for holding NC/JCM meetings, standing Committee meetings regularly as per the JCM rules so that all accumulated demands can be discussed and sorted out”. 30. After discssions on the above items, the ofcial side informed that the Dopt has already examined those issues and have come to the conclusion that those items will not come under the ambit of the dfinition of anomaly. The Staff Side contested this. It was decided that the Dopt will convey reasoning to the Staff Side and hold meeting with the Staff Side to sort out the differences. 31. The following item has been referred to Departmental Anomaly Committee of the respective Department/Ministries. (i) Central Govt. 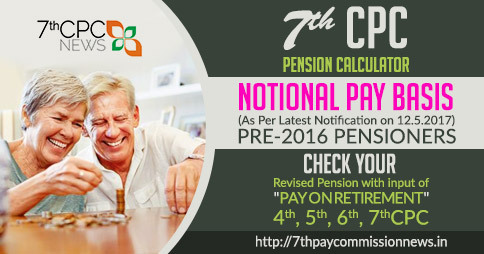 employes may be granted one more option to switch over to 7th CPC from a date subsequent to 25th of July 2016. The official side informed that the matter is under consideration and a decision would be taken shortly. (ii) The issue of pay fixation of ex-servicemen in the last pay drawn by them before retirement from armed forces is remaining unsettled.The official side informed that the matter has been referred to Ministry of Defence by Dopt for their comments. Decidsion would be taken after receipt of comments 07/08/2018. 34. The meeting concluded with a vote of thanks to Chair.